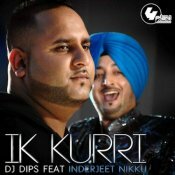 DJ Dips is back and releases a brand new single called Ik Kurri featuring the vocals of panjabi singer and actor Inderjeet Nikku! ARE YOU Inderjeet Nikku? Contact us to get a featured artist profile page.